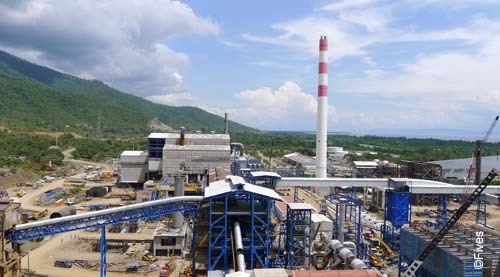 Fives supplied firing equipment for the hot gas generator used for the ore drying process, and for the new rotary kiln to be installed at CGN ferronickel processing plant in Guatemala. The equipment supplied by Fives comprizes a 100MW Pillard NovaFlam® burner for the rotary kiln and a 83MW Pillard GRFlam burner for the hot gas generator both firing heavy oil and pulverized coal. In addition, Fives delivered seven fans for the necessary combustion, dilution and cooling airs of the equipment, a complete oil handling system including pumping, heating sets and valves skids, and the pulverized coal handling system including coal feeders and transport air blowers both for the kiln and the hot gas generator burners. The contract was smoothly executed and the commissioning of the equipment is expected in the coming weeks. This contract perfectly illustrates the capacity of Fives to deliver packaged solution encompassing combustion systems for the drying and the rotary kiln calcination stages of the process, using best in class proprietary equipment and allowing a trouble free job execution for the end user.